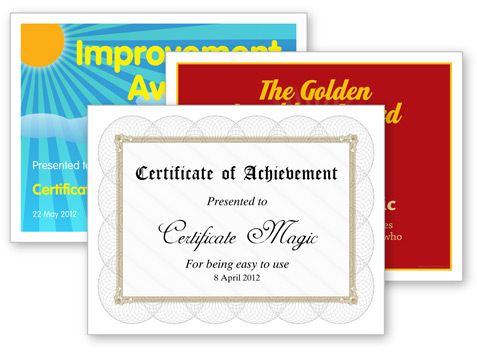 With Certificate Magic you can create your own personalized printable certificates for free. Using one of our free certificate templates, our free certificate generator will create your certificate instantly for you to download and print on your own printer. Make your own printable certificates in seconds with our free certificate maker. as you like, and it’s completely FREE!